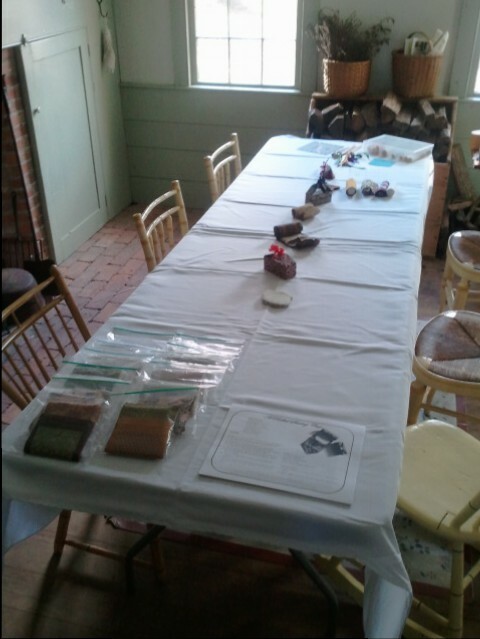 This past weekend was the Genesee Country Village & Museum’s first Domestic Skills Symposium. Saturday was filled with 4 exceptional presentations and an incredible period lunch, while Friday and Sunday held workshops throughout the day. Attendees came from approx 6 states and Canada to participate. 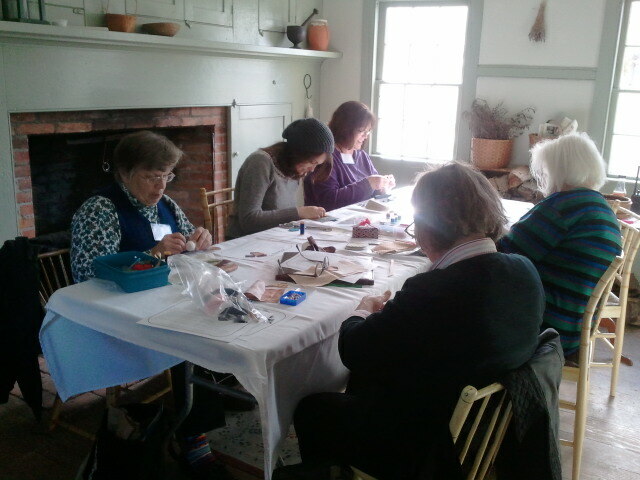 I really enjoyed meeting new people and catching up with old friends during our sewing. While Saturday was a drizzly chilly day suited to being inside for the presentations, Sunday was bright. The sun made all the fall colors sparkle. 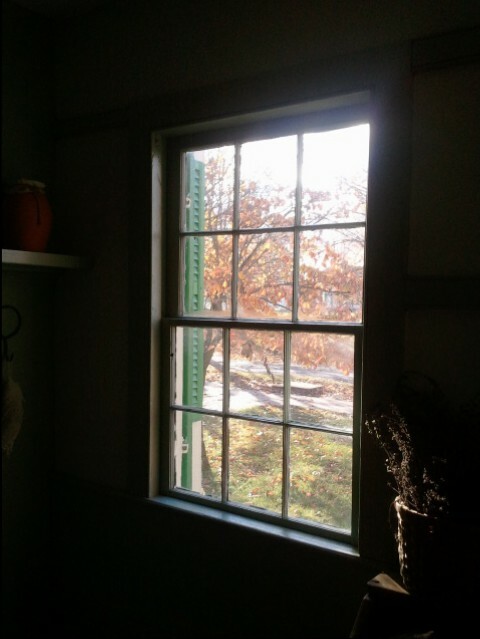 You can see the beautiful colors out the window of Foster, where I taught a rolled sewing case workshop in the morning and a sewing box workshop in the afternoon. 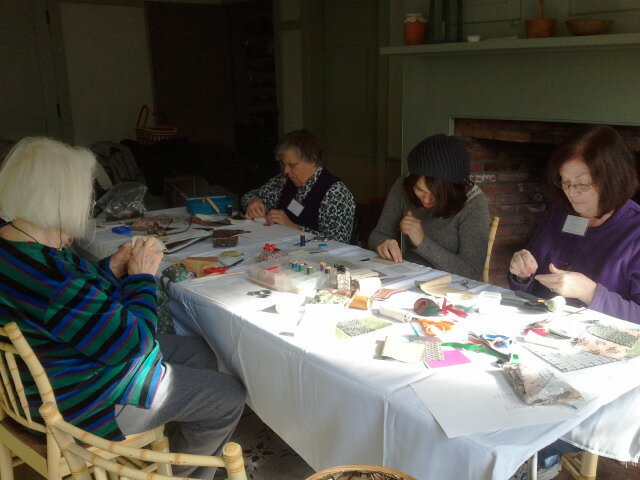 Here are a couple photos from the morning class. Everyone was so focused on their work there were times the room was silent. It was so quiet actually, we learned we really could hear a pin drop. In fact, a pin makes quite the ding noise as it hits a painted floor cloth. I neglected to take photos in the afternoon as my phone died. We completely lost track of time too. It really was a wonderful weekend and everyone I spoke with who had been in one of your workshops really enjoyed themselves and loved their sewing cases and/or boxes. Do you plan on hosting another Domestic Skills Symposium? It sounds like a wonderful event. Hopefully, Deanna will see this so she can answer. That looks so lovely, and how wonderful that everyone was so focused on their projects!